Short Description: WALL ACE will develop a consistent package of new advanced sustainable insulation products and systems. The HONEST (High performance Optimized Nanomaterial Energy efficient SysTem) package is a “modular toolbox system” providing a set of complementary solutions that will address most of the complex challenges raised by thermal renovation as well as new construction. The HONEST package includes: insulating thermal coating-finishing with low emissivity, internal high performance insulating plaster, insulating interior patching filler, external high performance insulating render, and insulation clay bricks. These products/systems will provide top insulation performance as well as improved comfort, indoor air quality, fire safety, durability and sustainability. Business planning and a field market test will be carried out, along with performance assessments on real buildings, and training and communication tools design, in order to maximize use potentials and foster a wide replication throughout Europe. Short Description: DREEAM aims to demonstrate replicable Net Zero Energy residential building renovation approaches achieving 75% total Net Energy Demand reduction- an improvement of 60% to state of the art market practices. It will utilise packages of interconnected energy systems that achieve a balance between energy efficiency and renewable energy measures. This is enabled by enhancing renewable technologies capacity factors by using advanced building management systems with machine learning algorithms that allow building system integration and auto-optimisation across building dimensions. 1. Using the profitability benchmarking results to inform real estate owners in European housing markets about profitable investment and cost optimal energy efficiency that is achievable through refurbishment investments. 2. Providing a “tool to talk”, to strengthen the dialogue between consultants and other actors in the housing industry and financial market that are concerned with planning, running, financing and regulating energy efficiency improving refurbishments in the private rental sector. 3. Using a standardised methodology to allow for a transparent comparison of investment conditions in different EU countries. In the long run, this will lead to a stronger integration of European capital markets for sustainable energy investments in the building sector. 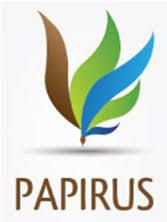 Short Description: The overall objective of the PAPIRUS project is to promote, implement and validate innovative solutions enabling the European community to achieve sustainable construction. The project implies an introduction of a new public procurement process focused on providing materials characterized by near zero energy consumption for the repair and construction of buildings in four European locations. Short Description: More than ever before, today’s complex social, environmental and economic transformations and challenges require housing providers and their stakeholders to work closely together to support and further develop Responsible Housing. 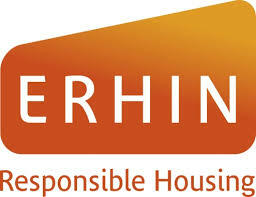 ERHIN project aimed at paving the way towards better embedding CSR in the social housing sector, through awareness-raising, transfer of knowledge and tools and stakeholder dialogue at European level. Description: BECA project built on existing services providing feedback on energy consumption to social housing tenants, by developing, providing and piloting advanced ICT-based Resource Use Awareness Services (RUAS) and Resource Management Services (RMS). Through the awareness raising services provided, tenants were empowered to control and reduce their energy consumption by using internet portals, in-home displays, alerts and SMS. Short Description: InCASA aimed to create and demonstrate citizen-centric technologies and a services network that could help and protect frail elderly people and prolong the time they can live well in their own homes. The inCASA core consists of a service delivery system able to comprehensively engage the user by enabling him/her to interface with care-takers, relatives and public entities in order to easily and timely receive the assistance or information needed. Description: AFTER project aimed at enabling Social Housing companies to improve the energy efficiency of their housing stocks by focusing on cost optimal solutions for the maintenance and management phase of their dwellings. Through the analysis of its pilots in six countries, the project assessed the actual performance of the technical solutions implemented, define and test economic, technical & socially optimum standards for long-term investment decisions and assessed, through the trends in consumption, the actual impact of the promotional campaigns targeting tenants’ awareness on energy that have been carried in the framework of the project.